I became a New Balance fan out of necessity. Honestly they are the most comfortable and supportive sneakers - especially if your a bigger person or have an injury. I've had I don't know how many pairs of the classic grey and white but these, they speak to my sense of style even before my need for comfortable sneakers! Sneakers that I want to wear outside of the gym are a rare find! 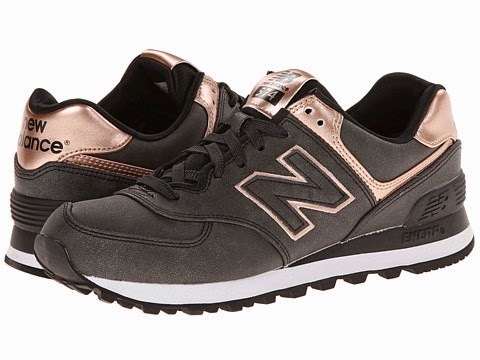 The charcoal grey and metallic rose gold are like "Kellie, buy meeee. I will make you happyyy."